At present harassment is a topical HR feature in the news. A recent case looks at an issue when colleagues call others names and the outcome of the case. The employee in the case of Evans v Xactly was called a "fat ginger pikey" by colleagues and an Employment Tribunal (ET) was asked if this was harassment? Mr Evans was employed as a sales representative for just under a year, when he was dismissed for poor performance. Several claims were raised by him, including discrimination and victimisation on the grounds of disability and race. 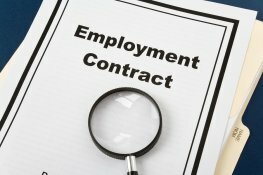 At Employment Tribunal level these were rejected claims and it was found the employer's reason for dismissal was genuine. In addition, Mr Evans brought a harassment claim on the grounds he had been called a "fat ginger pikey" on at least one occasion. Mr Evans was sensitive about his weight, due to the fact he was diabetic, but his colleagues did not consider him fat. In addition, he had strong links with the traveller community. The tribunal had understood that, on the face of it, the comment is a potentially discriminatory and harassing comment to make. However, it assessed the context in which the remark was made. It viewed the office culture was one of good-natured jibing and teasing among competitive sales people. At the time the comment was made, Evans did not take the remark amiss. The Tribunal concluded the treatment did not meet the harassment definition in s26 of the Equality Act 2010. Harassment is defined under The Equality Act as employees being able to complain of behaviour they find offensive, even if it is not directed at them. The EAT considered the Tribunal was entitled to come to this conclusion, given that harassment claims are highly fact sensitive and context specific. As this case illustrates, consideration does need to be given to the comments which employees make personally about each other, with line management needing to ensure they oversee office banter is not discriminatory. Line managers within the workplace need to ensure that they treat staff respectfully and ensure that colleagues behave appropriately with each other. If managers observe inappropriate behaviour they should address it. At cHRysos HR we have experienced HR consultants who have worked in a wide range of business sectors and types of organisation. They have extensive knowledge and experience in employment law and best practice in managing people. If you require any guidance and support please get in touch with us by email at info@chrysos.org.uk or Telephone 01302 802128.